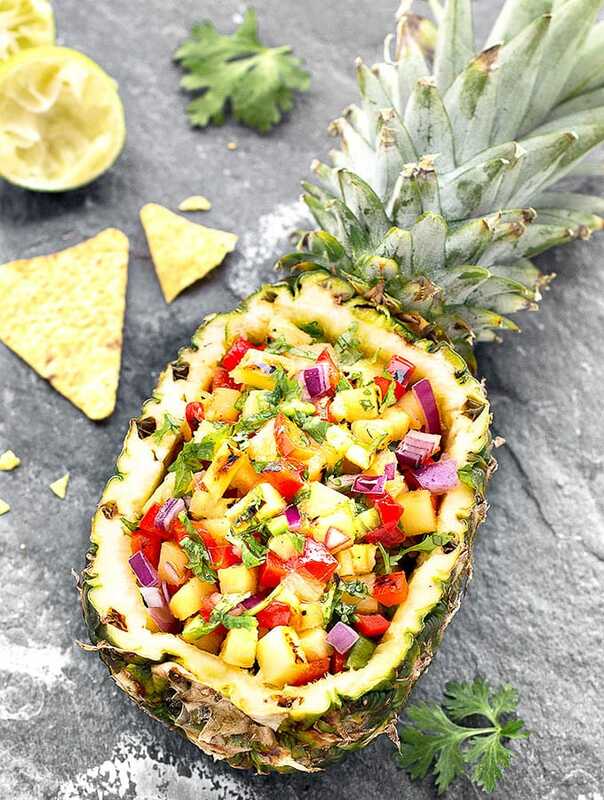 This Tropical Grilled Pineapple Salsa is packed with juicy pineapple, crunchy bell pepper, spicy jalapeño, pungent red onion, tangy lime juice and fresh cilantro leaves. 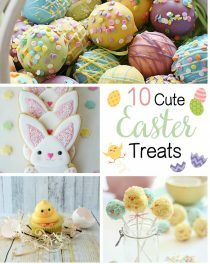 Delicious and ready in less than 30 minutes! 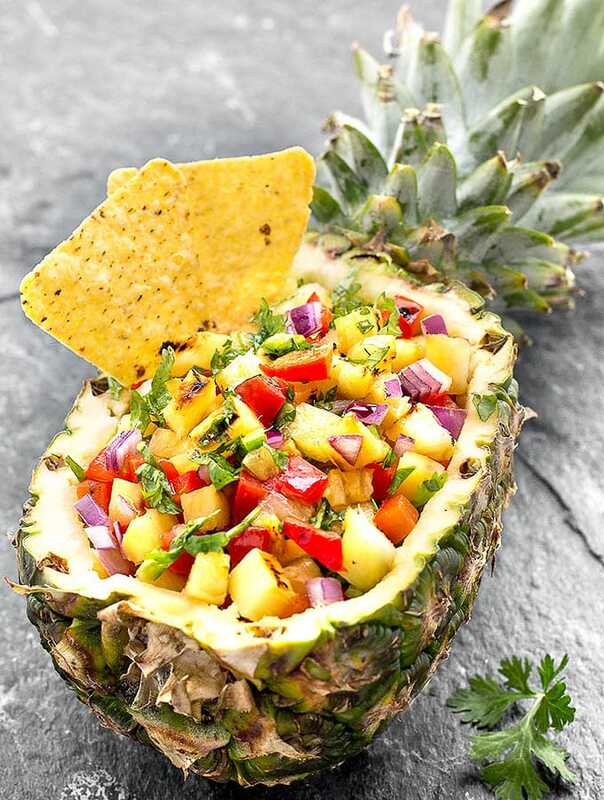 This grilled pineapple salsa is a delicious combination of sweet, savory, crunchy, spicy and fresh. It’s perfect with tortilla chips, tacos, grilled chicken, fish, or shrimp. 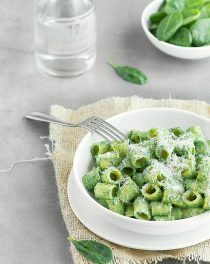 The recipe is quick and simple. 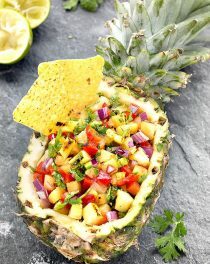 Just grill the pineapple and bell pepper, chop them into small cubes, toss all the ingredients in a big bowl, and serve. Grill the pineapple without flipping until it’s lightly browned and has grill marks on it, about 3 minutes per side. You can use a cast iron grill pan or a grill. 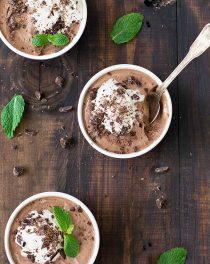 Customize the recipe to your personal preferences. Add the seeds of the jalapeño if you are looking for more heat, and feel free to adjust the lime, and salt to taste. I served the salsa in a pineapple bowl. To make the pineapple bowl, cut about 1/3 of the pineapple off, make a cut around the outer edge and across the middle. Use a metal spoon to scoop out the flesh. Salsa can be prepared a day in advance and stored, covered, in the refrigerator for up to 1 week. If you have the time, I recommend making the salsa the day before you plan to serve it to allow the flavors to meld together. 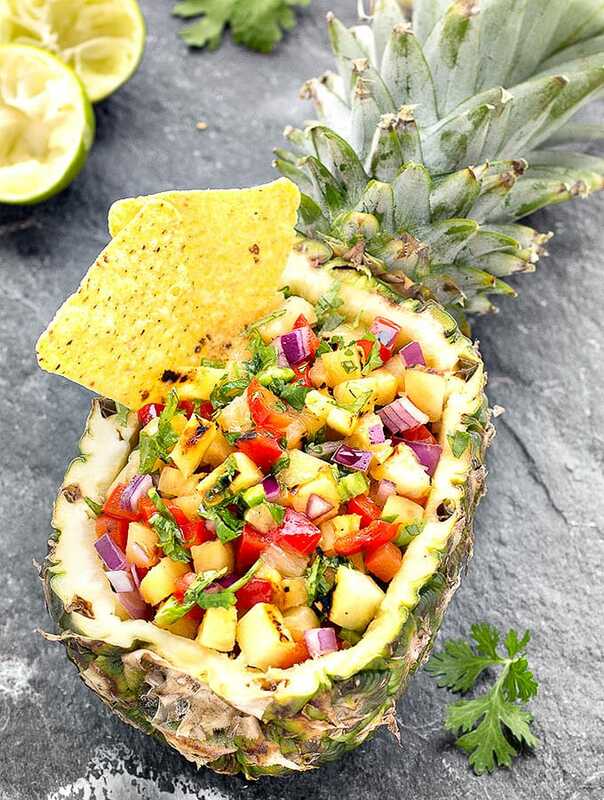 Make a bowl of this tropical grilled pineapple salsa and let me know what you think! Leave a comment and don’t forget to take a picture and share it on my Facebook page or tag it #aseasyasapplepie on Instagram! 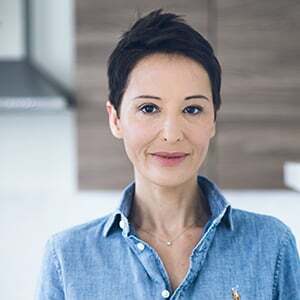 Add 1 teaspoon of oil to the pan, and grill the pineapple slices, about 3 minutes on each side, or until caramelized and golden brown. Once cool enough to handle, remove the core and dice the pineapple slices. In the same pan, add 1 teaspoon of oil and grill the pepper for 3 minutes on each side, until lightly charred. 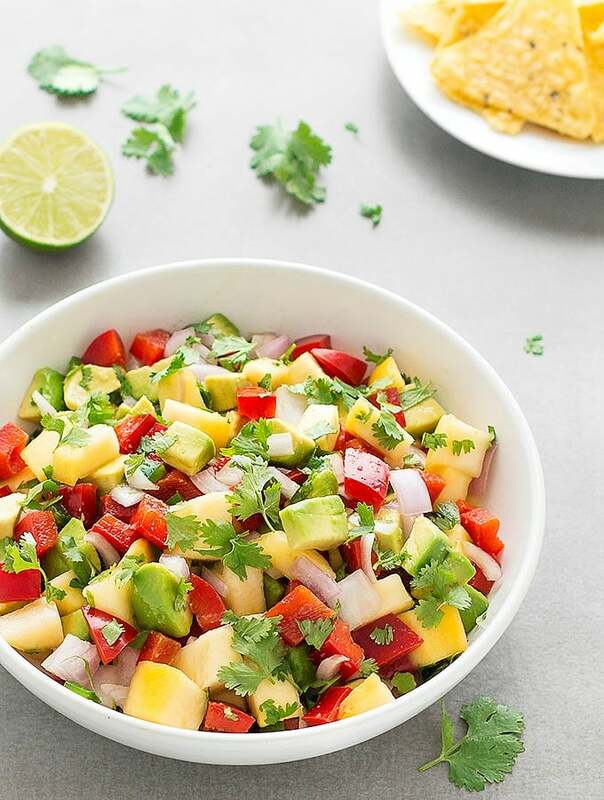 In a medium bowl, combine the pineapple, red pepper, cilantro, red onion, jalapeno, and lime juice. Stir until well combined. Season with salt, to taste. If you would like it spicier, add some of the jalapeno seeds. 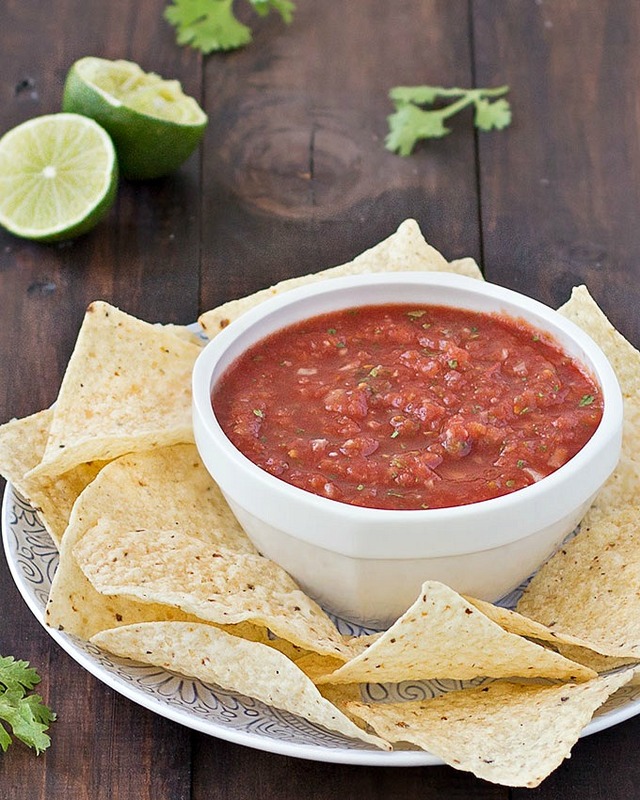 Salsa can be stored in the refrigerator, covered, for up to 1 week.